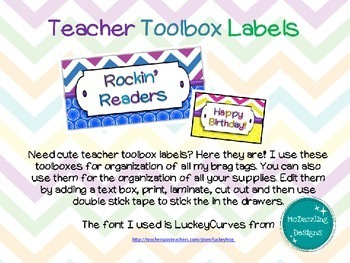 Need cute teacher toolbox labels? Here they are! 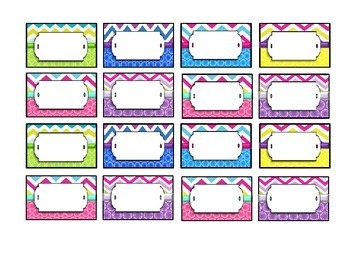 I use these to organize the brag tags in my classroom but they are great to organize classroom supplies like push pins and staples. 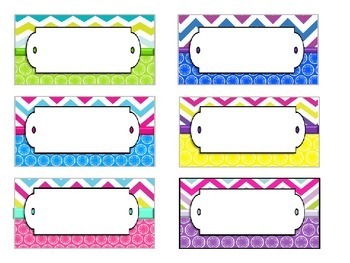 Edit by adding a text box, print, laminate, cut and then use a piece of double stick tape to attach them in the inside of the drawer. Please leave feedback and a rating! Thanks for purchasing this product!